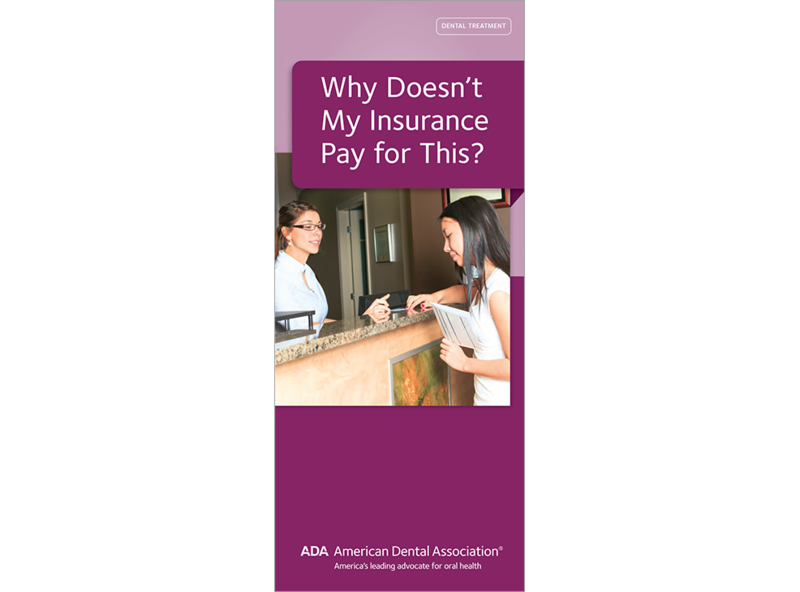 Use this easy-to-follow brochure to help your patients understand what their dental benefits plan covers and what it doesn’t. Explains that coverage is based on how much their employer pays into the plan and not based on what the patient needs or what the dentist recommends. Emphasizes that treatment decisions should be based on what’s best for their health and not just what is covered by their plan. A must-have for every patient! 8 panels. Minimum order 150. Click Add to Cart then personalize for free. Now you can add personalized information on the front, back, or both covers on all brochures.